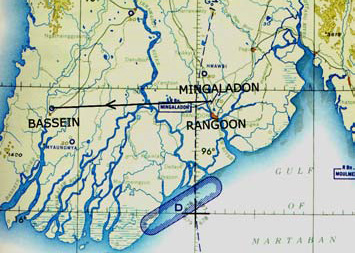 The most significant episode in my Burma experience began when I was scheduled for an early Bassein flight on December 22,1950, and reached its climax on the grimy sidewalks of New York City almost 25 years later, as I approached my final year before retirement from Cathay Pacific. When I arrived at the airfield the despatcher told me the service was delayed indefinitely, and even if it had been on the ramp, the entire Irrawaddy Delta was fogbound, with little improvement expected before early afternoon. Captain Tissandier instructed me to leave at once on a special charter flight in DC XY-ACO for Bassein, and when I raised the question as to the extent of the fog coverage he airily told me 'Give it a go'. I collected my priest and his hand luggage and was soon on my way. As we crossed the Schwelaung a tributary of the Irrawaddy, wispy ribbons of fog began to thicken, and when our 45-minute flight brought us over Bassein, True to forecast the ground had disappeared beneath a smooth carpet of milky cotton-wool with only the topmost branches of occasional higher trees thrusting through. Noting that our 1500 foot altitude was clear of all fog I set the auto-pilot to take us on a wide unhurried circle, unbuckled my safety harness, instructed Van Kett, my radio officer, to keep his eyes peeled and went back to the cabin. 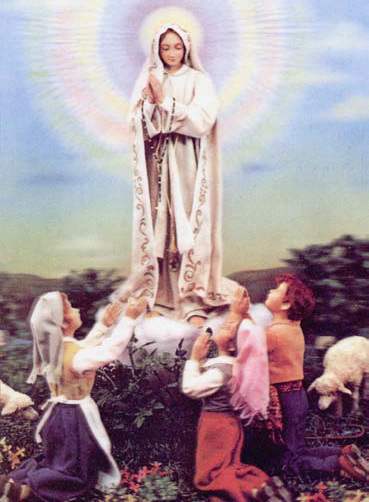 The priest was kneeling before a beautiful slender statue of Our Lady of Fatima. I caught my breath and successfully stifled a burst of racuous mirth which was not directed against the priest in supplication before his charge, but at the way he had braced her with pillows and circumposed her lovely outline with an incongruously worldly seat-belt. In a few moments he completed his devotions and I told him I thought a landing at the delta city would be out of the question for a few hours, but with a faint smile he replied that our landing would not be delayed. I made my unhurried way back to my sanctum dwelling on his words with some derision. They reminded me of the Aussie's verbal placebo: 'She'll be all right mate!' Comfortable in my seat once more I looked down and saw some clearance with, at first, ghostly outlines. Then suddenly the landing strip was clear before my astonished eyes. The northerly approach to Bassein was down a fairly steep gradient in a direction I had not used before, but the landing presented no problem. Taxi-ing back I turned the aircraft to face south for takeoffand cut the port engine. I then hurried back and fixed the steps for the priest and his charge. As I opened the door I heard the most etheral, melodious singing. Thousands of people were raising their voices in praise of the Most High. As the priest negotiated those tricky steps his features were composed, but did I intercept a devilish twinkle in his eyes? They seemed to say, 'Didn't I tell you?' Giving the reception committee a few minutes to clear the area I restarted the port engine and took off for Mingaladon. As we paralleled the runway I saw with amazement that the fog had rolled in to cover the airstrip again, thicker than ever. I found it a heart-warming experience, a demonstration of faith which seemed to be directed right at me, and I was impressed-but immediately thrust it to the back recesses of a mind programmed for more mundane matters. But years later, on another continent, a sequal to this long-forgotten incident stopped me in my tracks, and since then a day has rarely passed without my thoughts dwelling at least fleetingly on my greatest experience. 29 July 1974 was a bright, balmy day, and like thousands of others my wife Judy, son Edward and I, were happy just to be alive. Our steps had taken us along New York’s Seventh Avenue to Pennsylvania Station and Madison Square Garden. An errand for Judy’s friend had brought us to that particular area, but my prime reason for being in the States was to ferry Cathay Pacific’s twelfth and final Boeing 707 from NorthWest Airlines Minneapolis base to Hong Kong. Our rubbernecking progress took in the bustle of mid-town Manhattan with many stops as I composed scenes for my 8mm-movie camera. 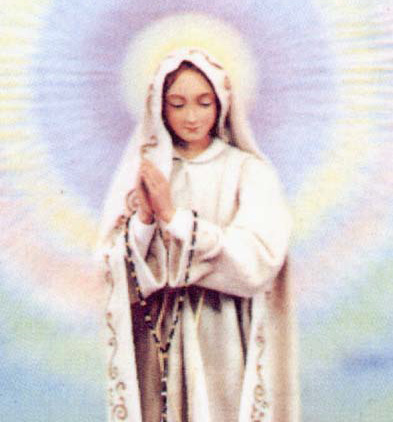 Suddenly a wizened old lady sidled up to me and said, Our Lady of Fatima is gracing the altar at St John’s Church just around the corner. I have been instructed to take you to see her once more. We explained to the female leprechaun that we had a chore to do, however when we finished we promised to visit the Church. With the job finished we returned to the main drag where our guide immediately joined up and took us to the Roman Catholic Church on 30th Street. The church was packed, however, we had an unobstructed view from perhaps forty feet away. As my eyes met those of Our Lady, a soft voice breathed in my ear, You do remember. I turned my head to reply but no one was there! But there is a more disturbing element – when I had my film developed it did not show our guide!